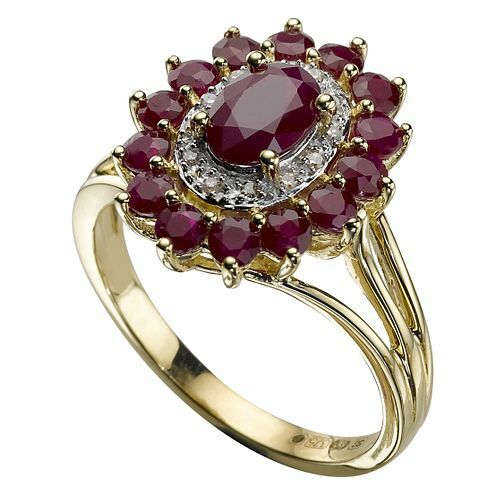 9ct Gold Diamond and Ruby Ring is rated 5.0 out of 5 by 3. Rated 5 out of 5 by Anonymous from Lovely item I am absolutely delighted with it, sadly I had lost my engagement ring of 53yrs and this was a close replacement. Rated 5 out of 5 by Anonymous from Beautiful Ring This ring is very elegant and beautiful and is very comfortable to wear. I'm pleased with my purchase and I would recommend this ring to anyone.